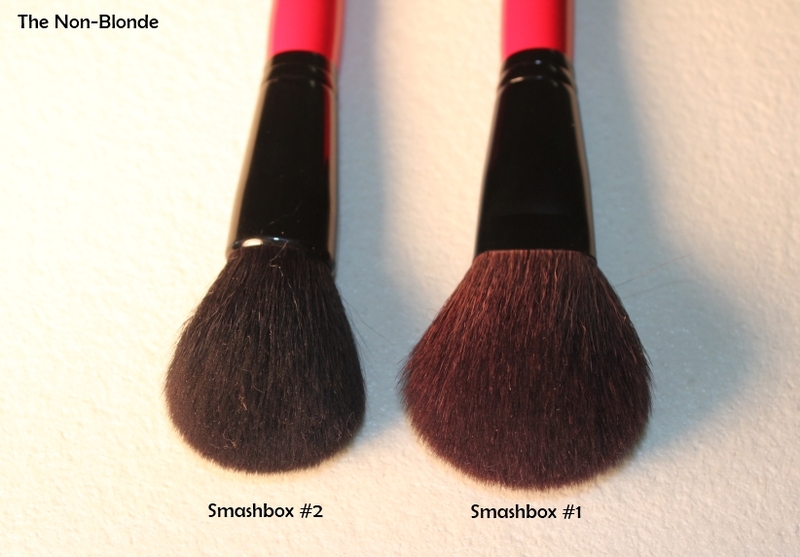 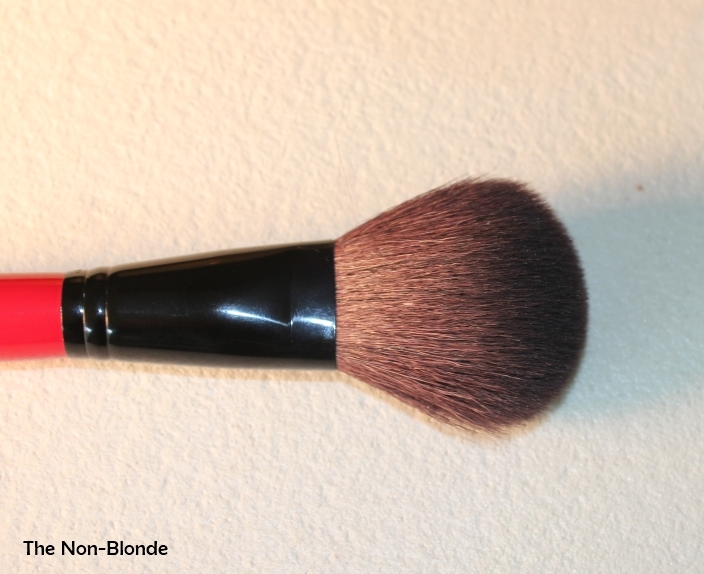 I was surprised to discover I like Smashbox Powder Brush #1 a lot more than its sibling, Face & cheek Brush #2. 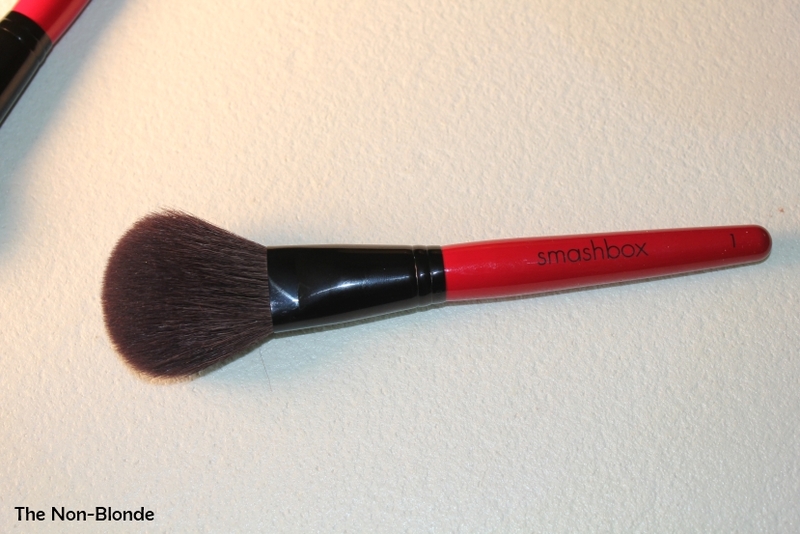 It starts with quality: Smashbox Powder Brush #1 is softer and feels better on my skin, but it's also a matter of shape an usability. Since the #2 is best for Smashbox Soft Lights but far less impressive as a blush or bronzer brush it sees limited use. 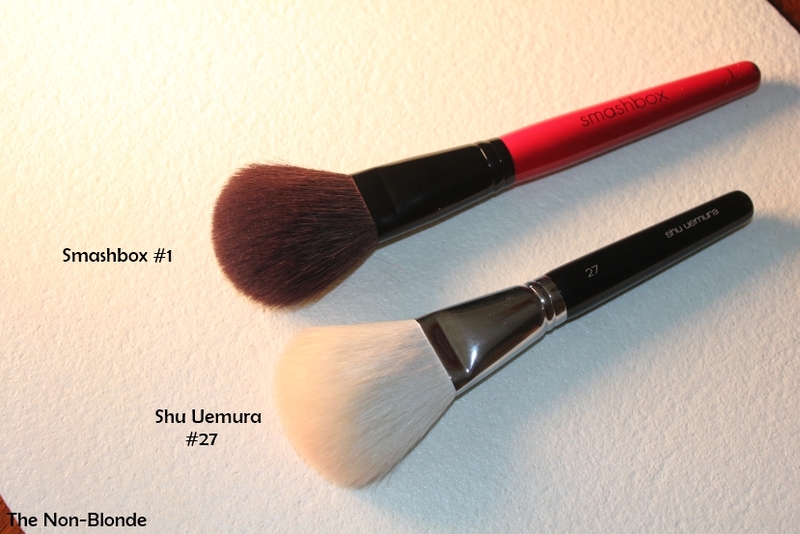 The big and fluffy #1 is a good classic powder brush. 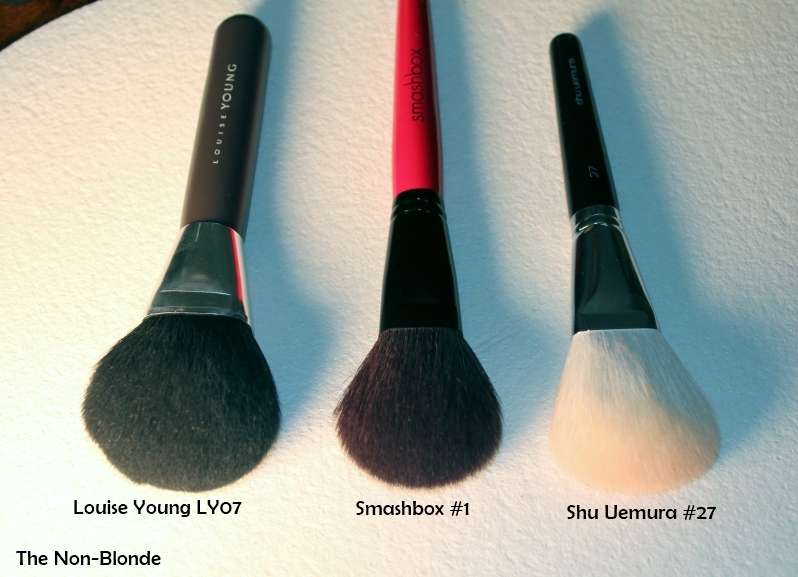 It's not as humongous as Louise Young LY07 nor as floppy as Shu Uemura #27, but performs quite similarly, though the Shu has the advantage of having a flatter head that makes pushing powder onto the skin a bit more efficient. 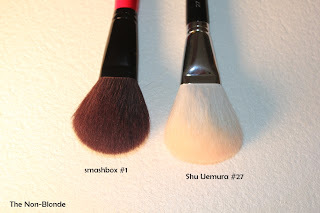 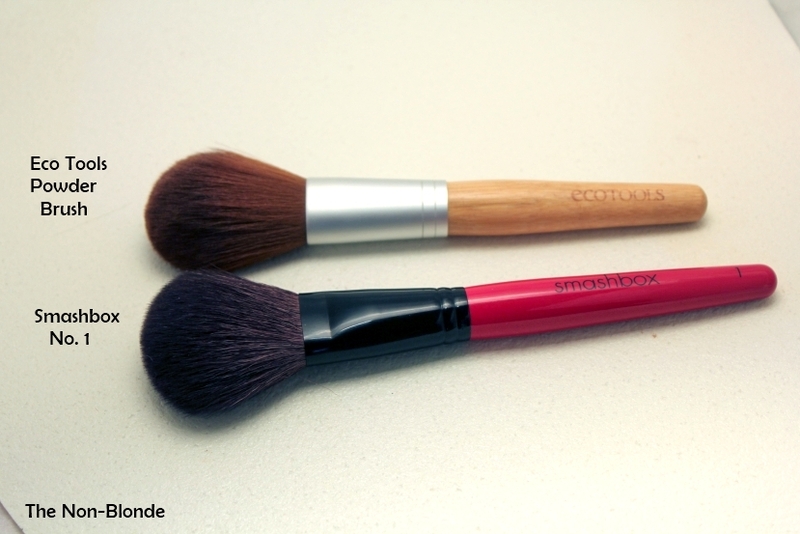 I find Smashbox Powder Brush #1 quite similar to Eco Tools Powder Brush (which I've always liked) in terms of dispensing the powder, but superior when it comes to buffing, as the Eco Tools brush has a lot of give. 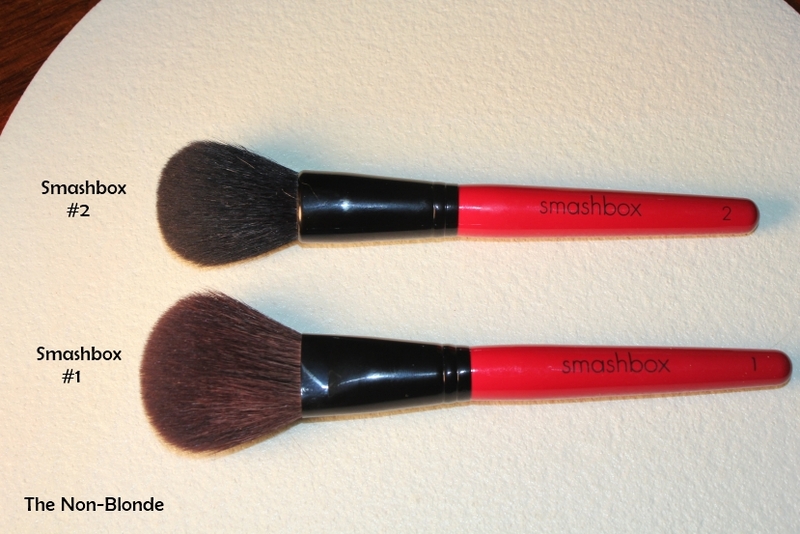 Smashbox Powder Brush #1is great with light finishing powders and does the job without smudging any makeup you've previously applied. 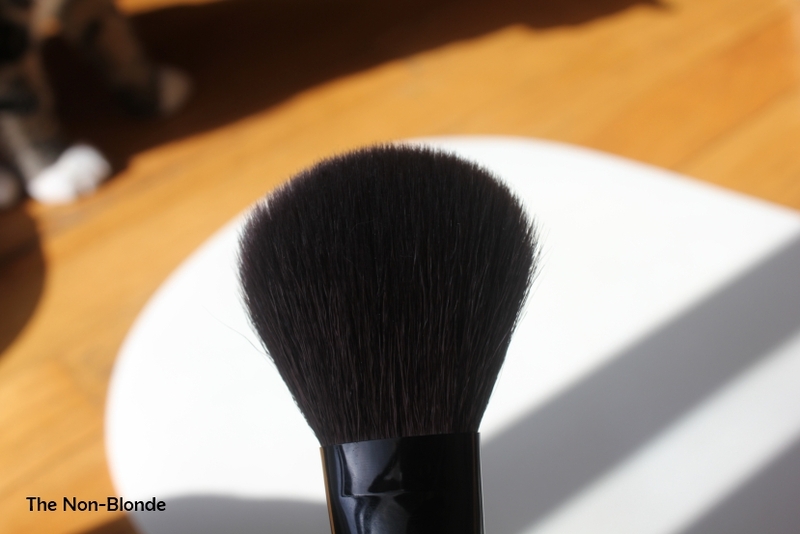 Bottom Line: a good option. Smashbox Powder Brush #1 ($48) is available at Nordstrom and from smashbox.com.